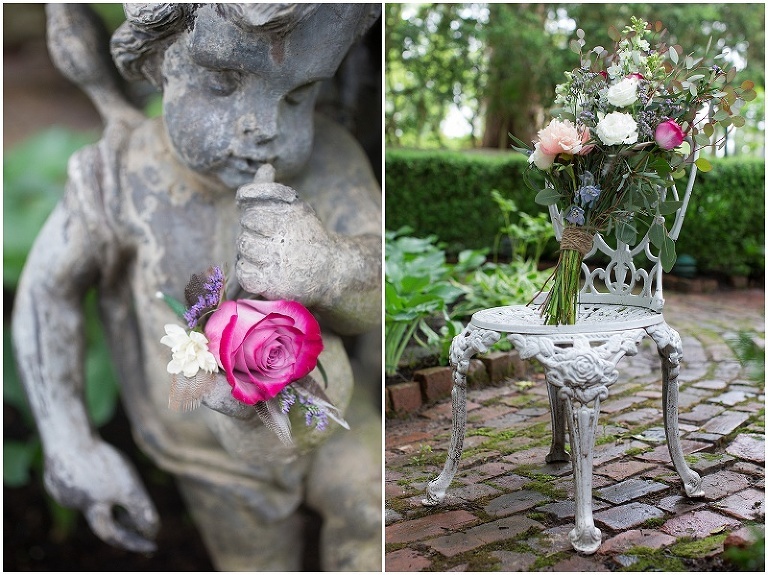 I had the pleasure of assisting Katie Parks of White Oaks Weddings & Events pull together her vision for a bohemian, garden style shoot at Combsberry Inn in beautiful Oxford, Maryland. Thank you to Premier Bride Magazine for featuring this shoot is your current issue! On this 30 acre waterfront site sits a historic, english country manor built back in 1730 complete with some beautiful gardens. 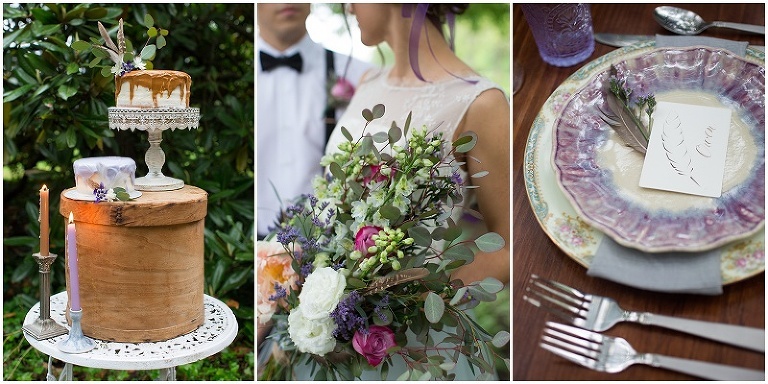 The color scheme included lavender, gray, ivory and a touch of pink. 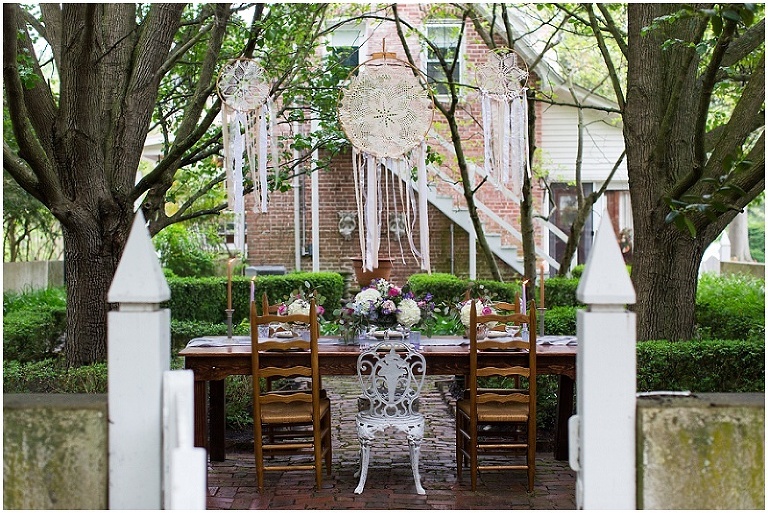 Dreamcatchers were hung in the garden over a gorgeous table setting with purple china. 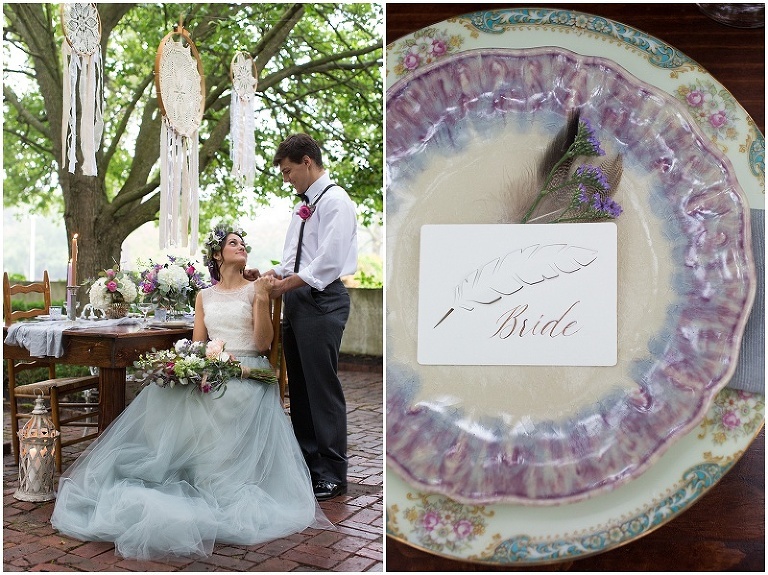 Feathers were seen in the florals as well as in the creative stationary placecards. Veronica looked stunning in a Kate McDonald Bridal gown with a fun, gray tulle skirt. The most amazing moment was when a swallowtail butterfly joined us for the shoot and hung out on the bride’s finger for awhile! We were lucky to have the rain hold off just enough and it was so fun to be a part of this romantic shoot! Thank you to all of vendors below who made this possible.